There is an unusual phenomenon that occurs upon the counting of the tribes of Israel. Everyone knows that there are twelve tribes; however, the identity of those tribes seems to switch depending on the occasion. 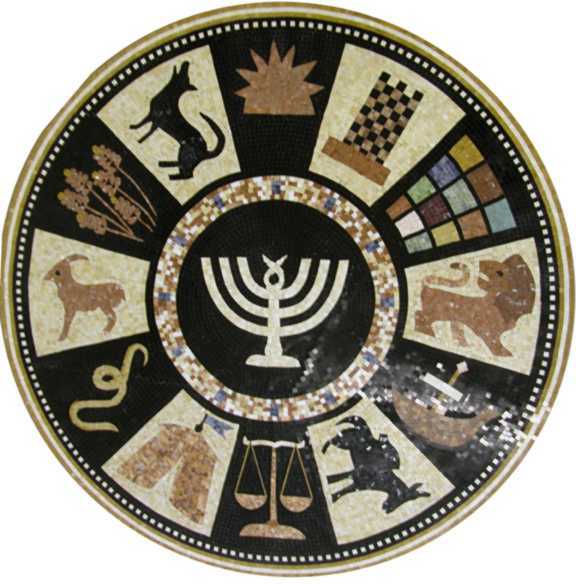 The twelve tribes are based on the twelve sons of Jacob: Reuben, Shimon, Levi, Judah, Yissachar, Zevulun, Gad, Asher, Dan, Naftali, Joseph and Benjamin. However, once the tribes of Israel leave Egypt and move to the desert, a change occurs. The tribe of Levi is taken out of the mix, presumably because of its priestly status and the tribe of Joseph is split into two, named after Joseph’s sons: Menashe and Ephraim. However, there are times that Levi is counted and on those occasions Menashe and Ephraim once again collapse into the entity called Joseph. In chemistry, we learn about electrons, their orbits, how many electrons fill a shell and how that gets atoms to form into molecules. While the identity of the particular electron can and will change, the number of electrons that complete a shell is both fixed and crucial. The Netziv on Genesis 46:27 explains that a similar function (he doesn’t refer to chemistry) is occurring upon the counting of the tribes. The number twelve is inviolate. The tribes of Israel must always number twelve. The identity or composition of each tribe is secondary. If Levi is out, then Joseph expands to Menashe and Ephraim. If Levi is in, they contract back to Joseph again, keeping the number twelve intact. There is a similar principle in the formation of a minyan, (the quorum of ten Jewish men required for public prayer). We don’t look at the caliber or importance of a particular participant – what matters, what is crucial, is that the count be full. May we always be counted amongst noble causes and associations. To the family members arriving in Montevideo for the Bar-Mitzvah. We’re getting closer to that minyan.